Mirror neurons exist in the physical world. How can their excitation link to an abstract experience like empathy? Such a link defies explanation by cognitive theories, which hypothesize that received impulses are mathematically processed by neurons to produce outputs. A maths equation which links neural activity to sympathy is hard to imagine. 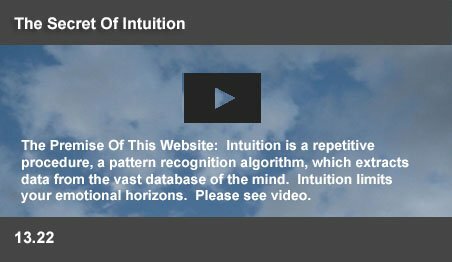 Instead, this website suggests a more feasible cognitive pattern recognition model. Coded pattern recognition (Nobel Prize 2004) can identify the subtlest of patterns. The olfactory system is believed to distinguish between, say, the aromas of tea and coffee through that newly discovered combinatorial coding. Such coding can store astronomically large lodes of knowledge in the nervous system. Intuition, an algorithmic process, can utilize such knowledge in linked networks to sense the myriad patterns of life to enable social interactions. Scientists discovered that the motor neurons, which support a motor activity also fire, when one animal observes another perform the same activity. 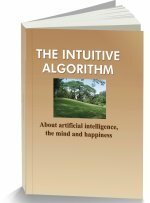 Intuition, combinatorial coding and pattern recognition can enable the brain to identify a physical action and then imitate the same action within the observer. The nervous system recognizes an action using the perceptions of vision, sound, smell, touch and taste. Mirror neurons have been reported to be able to identify the intention of an observed activity. They have been reported to feel the pain of another person. Such activities have been reported in both animals and humans. Mirror neurons have also been reported to be able to identify the emotions of others. Combinatorial codes enable function specific recognition. Pattern recognition by the human auditory regions differentiate between spoken words as well as between the different voices of people. Behavior pattern recognition by the human brain can explain the mirror network. Intuition recognizes the grimace of a friend and creates your awareness of her pain through the excitation of the mirror network. These neurons are contextually positioned in sensory, motor and emotional regions to translate the intentions, actions and feelings of people into your subconscious experiences. The network provides you with more personal data than you can ever uncover by talking to a person. Scientists suggest that less than 10% of social understanding comes from spoken words. The network makes you subconsciously aware of the joys and sorrows of the people around you. Those neurons do not add and subtract the impulses they receive. They sense patterns and fire. A mirror neuron fires both when an animal acts as well as when it observes the same action being performed by another. Neurons are function specific. Vernon Mountcastle first discovered that specific neurons in the premotor area of the cortex fire during motor control activities. Researchers, experimenting with monkeys, report that specific neurons fire when an animal reaches for a peanut, pulls a lever, or pushes a door. Iaccomo Rizzolati and Vittorio Gallasse discovered that neurons in the same regions also fire, when the monkey watches another monkey perform similar actions. Impulses from visual regions convey visual information. Firing in motor regions imply motor activity. The monkey had no neural circuits linking it to the motor systems of another animal. Yet, it identified another animal's action and triggered the precise internal motor circuits required to carry out the same action. The mirror network in an observer translates behavior patterns of other people into his own personal subconscious experience. As on date, there are no widely accepted neural or computational models to explain mirror neuron activity. Presenting a new model, this website explains how combinatorial coding can enable the nervous system to identify objects and events. It suggests that the coding enables massive storage of knowledge. Intuition enables instant evaluation of available knowledge through a process of lightning fast inhibition of unrecognized networks. Intuition acts with focused precision to move a pencil, or to speak a word. The mirror network mirrors the activity of an observed person following a multi-stage recognition process. The visual recognition system of a monkey identifies arriving patterns of light as objects, such as its cage, the levers in it, or as other animals. Their association regions sense real time sequences of such patterns to be actions, such as another animal reaching for a peanut, or pulling a lever. The system contains memories of motor impulses required to perform many learned and inherited actions. Recognizing an action, special circuits precisely link a perceived activity to the motor impulses in related mirror neurons. These neurons make the animals subconsciously experience the actions of others. The mirror network has been reported to recognize the actions of others perceived through different sensory channels. For example, a mirror neuron which fires when a monkey rips a piece of paper would also fire when the monkey sees a researcher rip a paper, or when it hears paper ripping. Just as a smell is remembered by the olfactory system, the “ripping paper” activity is recognized and stored in the combinatorial codes of the pattern recognition network. Visual, auditory, or even odor signals (if the paper smells differently when ripped) are all linked to a remembered activity by the codes of related association regions. Robert Zatorre at McGill University identified mirror neurons in Broca's area, which became more active when subjects listened to music they knew how to play compared with equally familiar music, which they did not know how to play. The mirror circuits enable us to comprehend motor acts when they are observed or heard, without the need for explicit reasoning about them. Mirror neurons have been reported to be able to differentiate between intentions. In a record by Fogassi of the activity of 41 mirror neurons in the inferior parietal lobe of monkeys, 15 neurons reportedly fired when the experimenter grasped an apple to eat it, but were inhibited, when he grasped the apple to place it in a cup. For 4 other neurons, the reverse held true. They were activated, when the experimenter placed the fruit in a cup and were inhibited, when he ate it. Recognition in this case was not linked to the action, but to the intention. At he same time, other neurons fired in recognition of the act of grasping the fruit. Evidently, at a certain stage in the action of the experimenter, it was possible to differentiate the eating action from the placing action. The difference was indicated by the combinatorial firing of the related mirror neurons. With the astronomically large number of combinations possible with the coding, the system finely differentiates the objectives of a perceived action. The mirror network has been reported to be sensitive to perceived pain. Pain cells in the human anterior cingulate, will normally fire when a patient is pricked with a needle. Researchers at UCLA found that those cells will also fire when the patient watches another patient being pricked. The neuron in the observer "mirrored" the pain of the other. Such neurons have been directly observed in primates, humans and other species including birds. Researchers using fMRI, TMS, and EEG have found evidence of a similar system (matching observations with actions), in the human brain. In humans, mirror neuron activity has been found in the premotor cortex, the supplementary motor area, the primary somatosensory cortex and the inferior parietal cortex. In a pattern recognition model, the firing of a nerve cell implies the transmission of specific information about a function in the brain. When pain cells fire, the person experiences pain. The same cells fire to make you experience imagined pain. Motor systems respond to these signals and you wince with imagined pain. Pattern recognition by the nervous system implies that the firing of specific neurons trigger specific emotions. Science has reported that the anterior insula and the inferior frontal cortex are active when a person experiences disgust, happiness, or pain. The same regions are activated, when they see another person experience the emotion. At present mirror neurons for emotional states or empathy have not yet been reported for monkeys. More recently, Keysers reported that more empathic people (as per self-reports) have stronger activations both in the mirror neuron system for hand actions as well as those for emotions. The emotion of people can be identified from facial expressions as well as the visible intentions of their actions. Mirror neurons recognize the emotions of other people. They sense patterns. Itzhak Fried of UCLA discovered mirror neuron activity in several new regions, including vision. In their experiments, specific subsets of mirror cells increased their activity during the execution of an action but decreased it, when an action was only being observed. Distinct regions controlled actual actions and the internal imitation of such actions. Such differences in activity support the pattern recognition concept that neural activity is function specific. The firing of a neuron in a particular region implies a sensation, an action, an emotion, or an intention. Following combinatorial codes, neurons respond to a combination of such inputs to produce a contextual functional output. The codes of a pain sensory neuron inhibit it on receiving an input from a touch sensory neuron. The result is a link between two data dimensions, where a caress reduces pain. The pattern recognition of speech involves simple processing in the auditory cortex and its conversion into words elsewhere. Scientists from Maastricht University identified regions, which generate specific patterns of firing both for specific sounds as well as for the people, who utter those sounds. fMRI and data mining techniques studied brain activity of subjects listening to different speech sounds (the vowels /a/, /i/ and /u/), spoken by different people. Just like real fingerprints, these neural patterns were both unique and specific. The neural fingerprint of a speech sound did not change if uttered by somebody else and a speaker's fingerprint remains the same, even if this person said something different. Different combinatorial codes identified the myriad parameters of each activity. The receipt of coded interpretations from many regions enable the mirror neurons to fire and enable the observer to sense the pain, or anger of an observed person. Seeing a person yawning, talking to someone on the phone who is yawning, or even just thinking of yawning can trigger yawning. Infectious yawning has also been noted in chimpanzees. The periamygdalar region is a zone that lies alongside the amygdala, deep in the brain. The periamygdalar region has been linked to the unconscious analysis of emotional expressions in faces. Scientists report deactivation of the left periamygdalar region, when a person wishes to yawn. The more strongly a participant reported wanting to yawn in response to another person’s yawn, the stronger was this deactivation. The intuitive process in human pattern recognition operates through inhibition of unrelated regions. When animal begins to drink water, it inhibits its eating processes. Could a yawn imply a cut off of empathic relationships, when a person yawns? In many cultures, a yawn is an acknowledged sign of disinterest. Pattern recognition identifies vaguely delineated entities, such as diseases, human faces, or video images. The human mind contains powerful regions, which sense the behavior of objects in the environment. The process is supported by massive memories and myriad analytical subsystems. Behavior pattern recognition enables the human mind to understand events. Mirror neurons operate at the highest level of this process, enabling a person to comprehend the intentions, emotions and actions of people, without reasoning out these processes. They just know. Research in this field has clearly demonstrated that particular neurons fire when such complex patterns are identified. Combinatorial coding responds to the firing of particular neurons. The Nobel Prize winning research on the combinatorial coding reported that the system accurately recognized the firing combinations of olfactory receptors. These discoveries clearly point to combinatorial coding as the fundamental process of the mind. Mirror neurons provide more evidence that the mind is a pattern recognition entity responding to combinatorial codes.